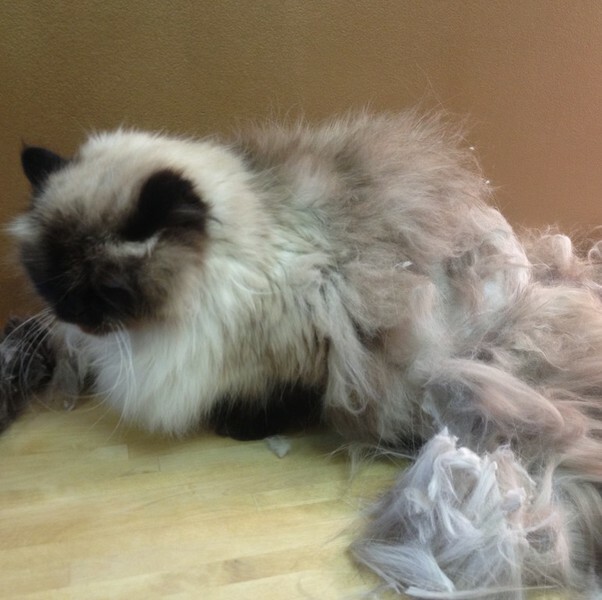 THE NATURAL $65 Is our full long hair shampoo package which includes a optional belly shave ~ This is the secret to caring for a cat's coat. 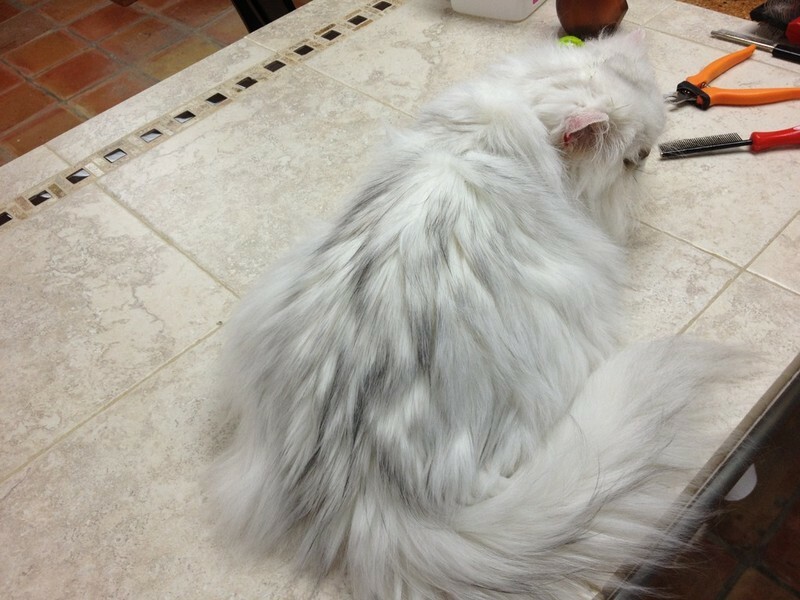 This style is an alternative to cutting into your cats coat & colors. This will maintain your cat's natural beauty & remove all unwanted oil, trapped dander & dead fur from building up in your cat's coat. 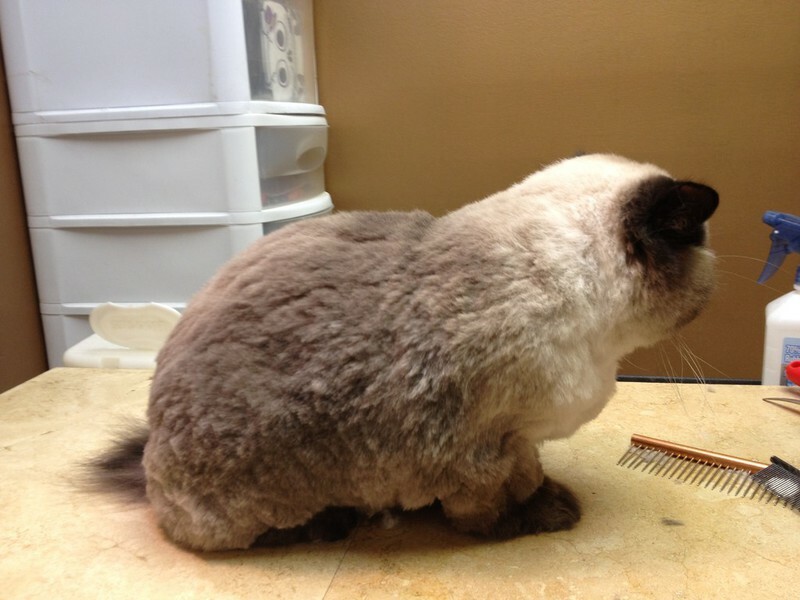 A belly shave can remove even more fur and eliminate problem areas without being visible. THE TIGON $70 includes style & full shampoo package ~ This style is 1/2 Tiger & 1/2 Lion. This style leaves a Tiger head on a Lion pattern body. 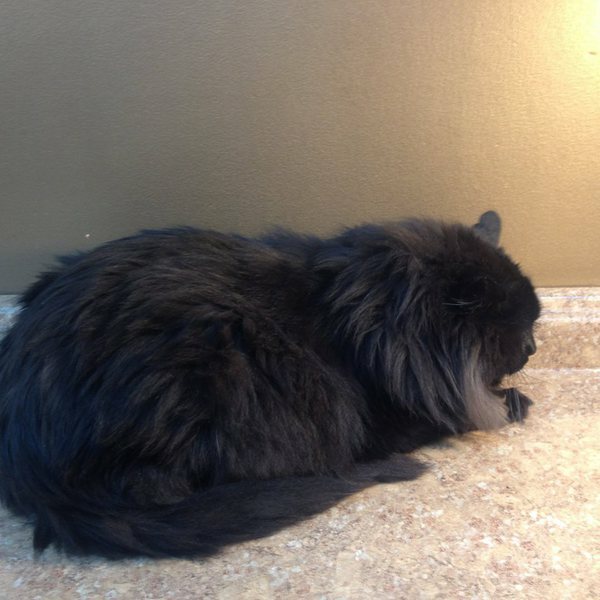 There is no mane and the head is purrfectly manicured round. The body is like a standard Lion Cut,"The Main Lion", with "boots" left on the legs & a Lion tail. Purrfect for short haired cats too. 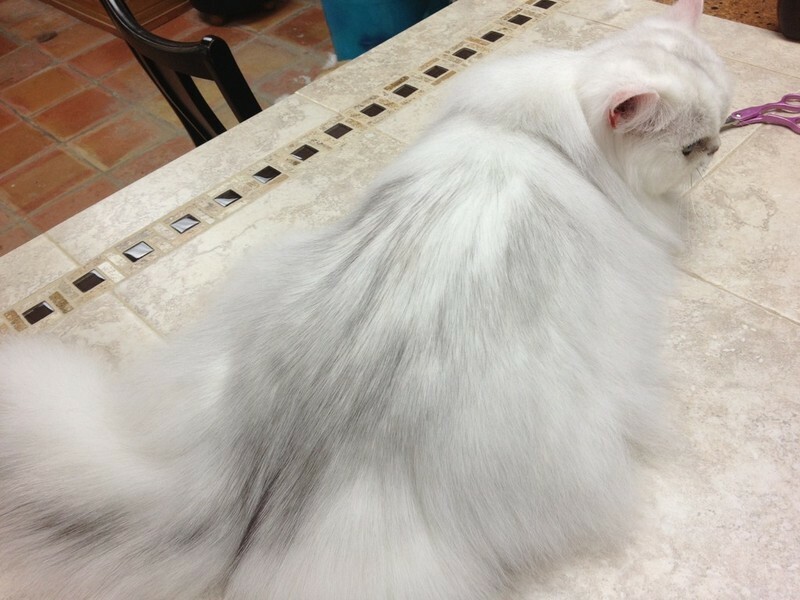 THE TIGER CUT $85 includes the style & full shampoo package ~ This will even out your cat's fur to the same length all over. This style automatically comes with a Tiger tail,Tiger head & purrfect paws unless you specify otherwise. This style will leave 1/4 to 1" length of fur depending on how short or long you want your Tiger to be. Our different lengths are color coded. The standard Tiger Cut length is Blue but you can go shorter with Purple or longer with Orange or Yellow. 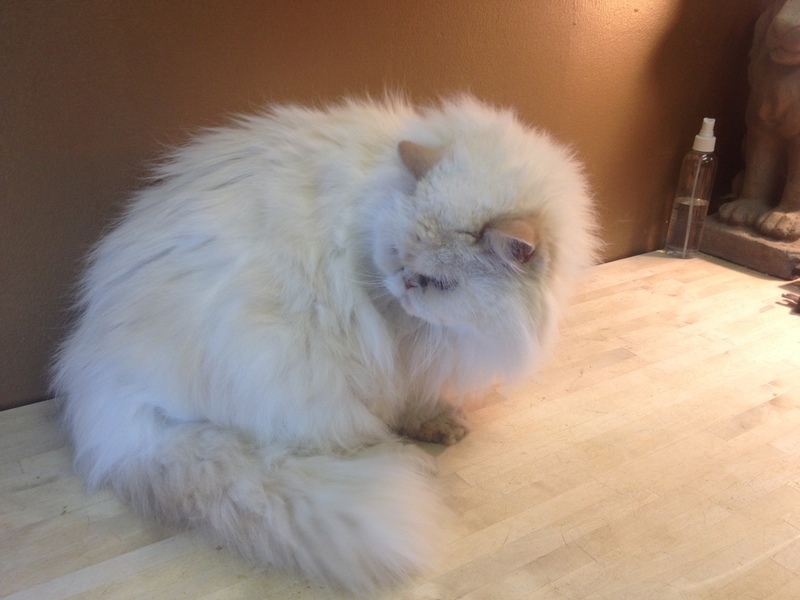 This style is not available for matted or aggressive cats. 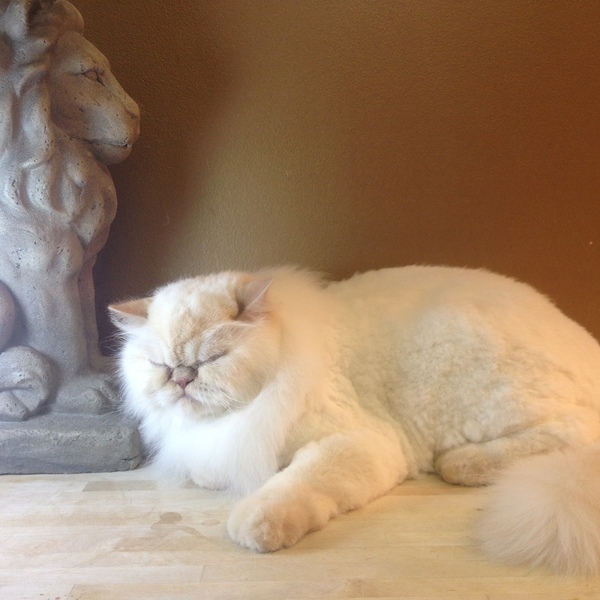 THE LIGER CUT $85 includes the style & full shampoo package ~ This will even out your cat's fur to the same length all over while still maintaining a natural Lion's mane. This style automatically comes with Tiger paws unless you specify otherwise. 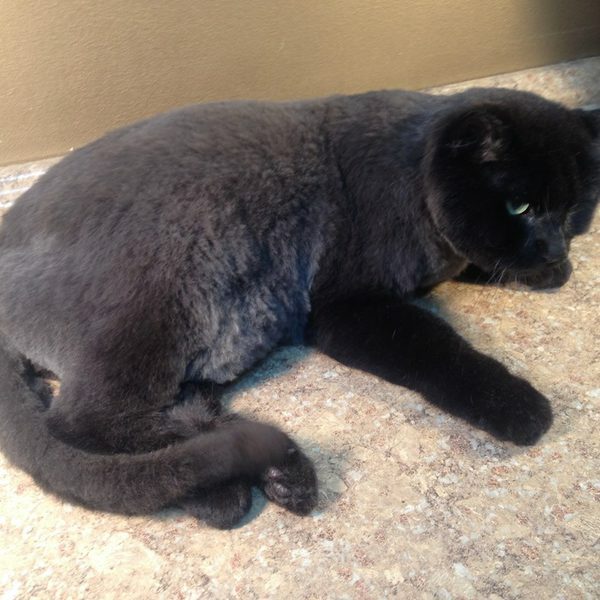 This style will leave about 1/4 to 1/2 inch length of fur on the body. 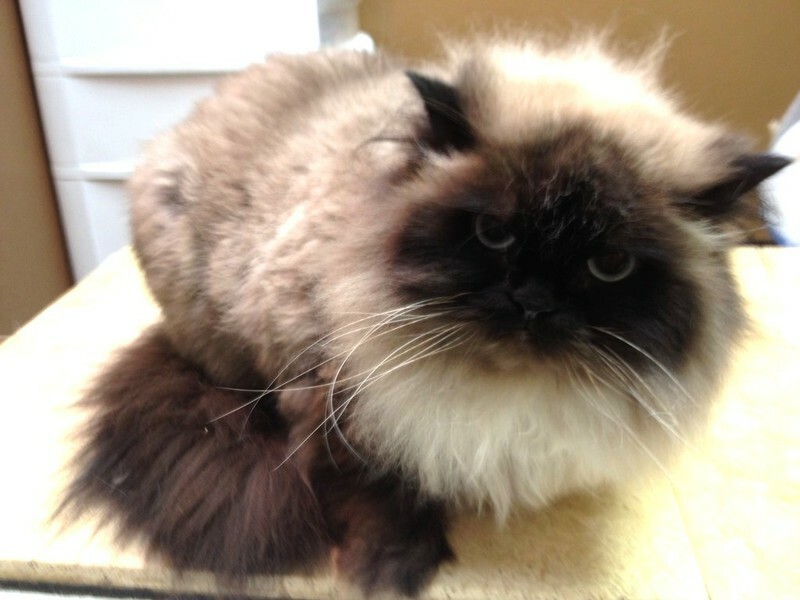 This style is not available for matted or aggressive cats. Includes the style & full shampoo package. 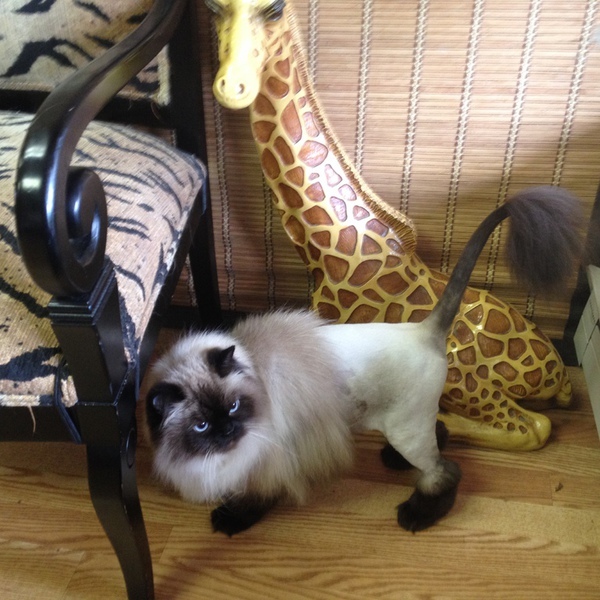 Options include a shave or Velvet length ~ This Lion Cut does not have any separation between the mane & the front legs. The mane is one solid unit in the front connected to the front legs. 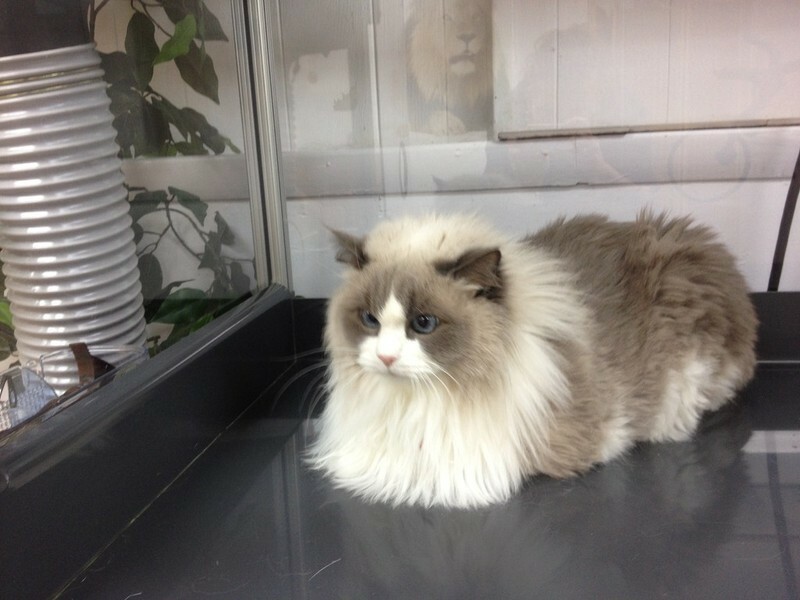 This style is ideal for cats who do not like their front legs tampered with. The mane is more pronounced. THE DRAGON CUT $95 includes the style & full shampoo package. Purrfect for Halloween or as a fun alternative to The Lion Cut. This is also a great ego booster for cats due to the extra attention they will receive at home. A real confidence building style. 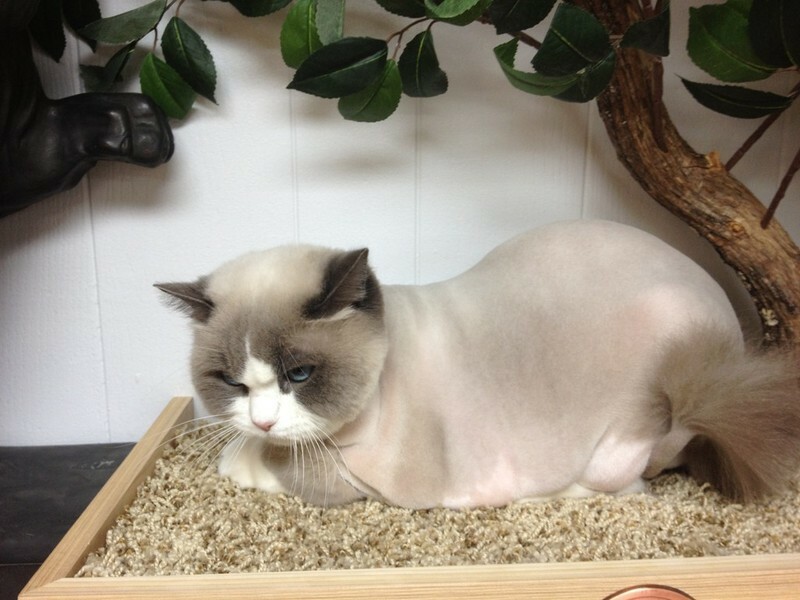 Can be done on short haired cats too.